Teachers and staff of North-Eastern Hill University led by Prof. S.K. 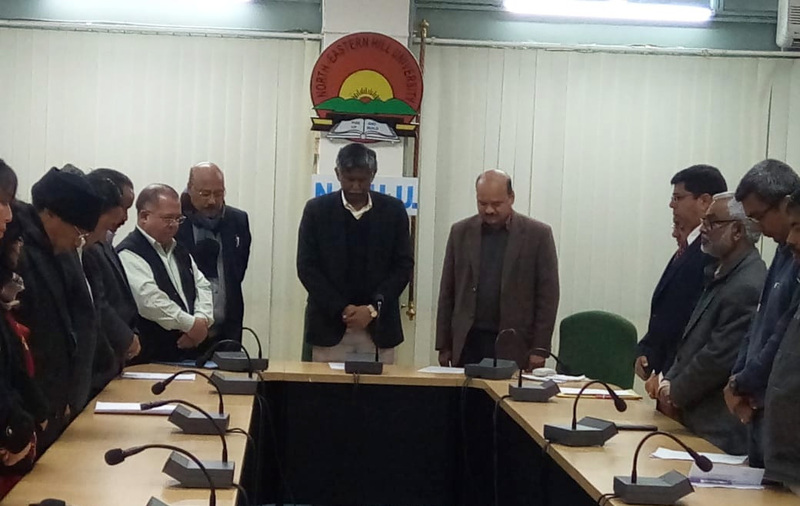 Srivastava, Vice-Chancellor, paid their tribute to the ‘Father of the Nation’, Mahatma Gandhi on the occasion of his 71st death anniversary, at the VC’s Conference Hall on January 30, 2019 by observing two-minute’s silence. Mahatma Gandhi was assassinated on January 30, 1948. The day is now also observed as Martyr’s day.